(Photo courtesy Channel 4) Enoch Foster and his wives Catrina, left, Lydia and Lillian. Lydia Foster is recovering from injuries sustained in an automobile accident Thursday, March 21, near Moab. 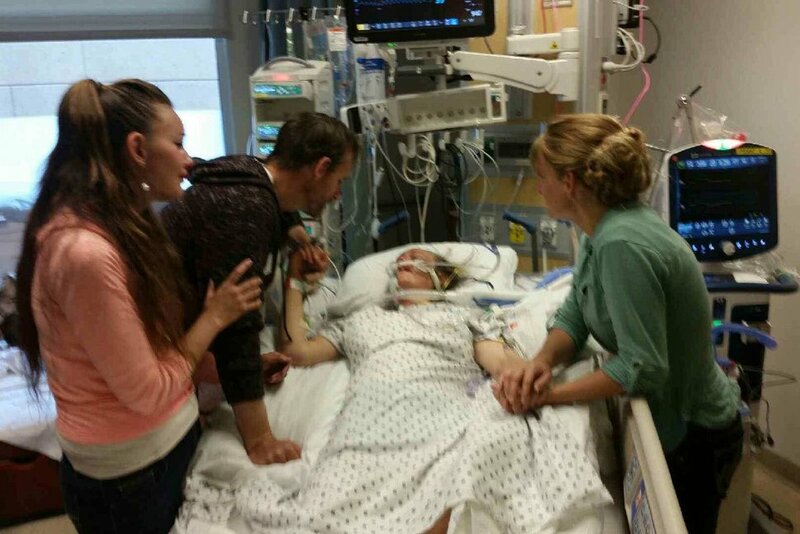 Lydia Compton Foster, one of the plural wives on a Utah-based reality show, is recovering after a car crash Thursday near Moab, though the child she was carrying did not survive. Foster is one of the stars of the series “Three Wives, One Husband.” A Friday text from her husband, Enoch Foster, said her daughter had to be delivered at 23 weeks and was stillborn as a result of injuries Lydia Foster suffered. The couple named her Lily Rose. Enoch Foster wrote that Lydia underwent a successful surgery Friday afternoon. “All the internal bleeding has been dealt with,” he wrote in a text, "so that they were able to close her back up, take out the abdominal packing, and take out the intubation tube and take her off of the respirator. The kidney bleed is stable and likely will heal and may even have full function. Her spleen injury was not too serious and should heal fine. Lydia Foster also suffered nine broken ribs, her husband wrote. (Photo courtesy Foster family) Lydia Compton Foster lays in her hospital bed on March 21 or 22, 2019. A semi struck her car on U.S. Highway 191 near Moab on March 21, 2019. The accident happened Thursday morning on U.S. Highway 191 between Moab and the Foster family enclave, known as Rockland Ranch. The family has said Lydia Foster’s car was struck by a semitrailer. Her 1½-year-old son, Arrhen, was in the back seat and wasn’t hurt. 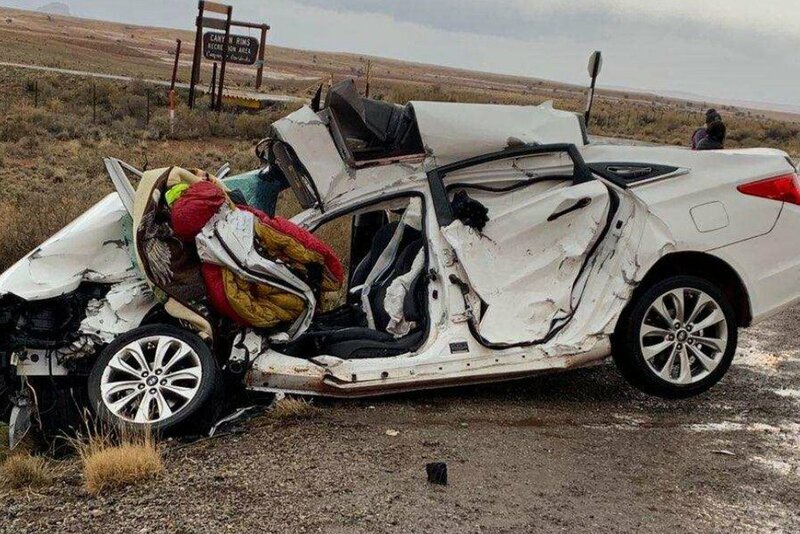 (Photo courtesy Foster family) A car driven by Lydia Compton Foster sits on the side of the road after a semi struck it March 21, 2019, on U.S. Highway 191 near Moab. Foster survived, but the 23-week fetus she was carrying, a girl the family named Lily Rose, was stillborn. Supporters have started a GoFundMe account to help pay Lydia Foster’s medical bills. 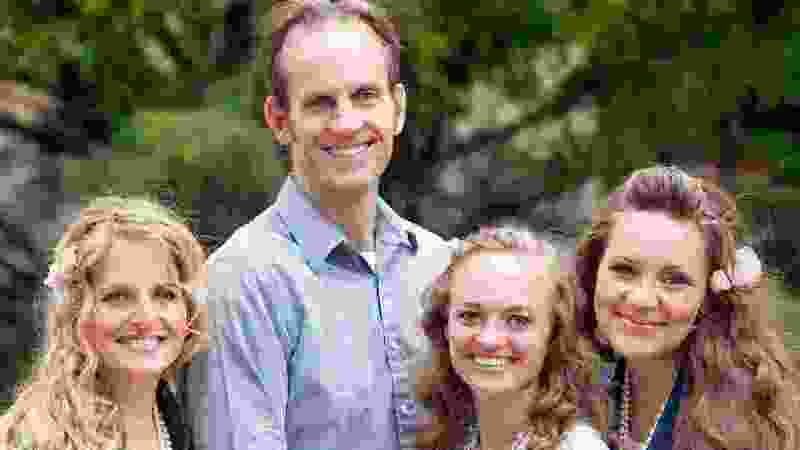 Correction at 11:12 a.m. on March 24, 2019: An photo caption with this story incorrectly identified Lydia Foster and misstated which Foster wife was injured in the crash.